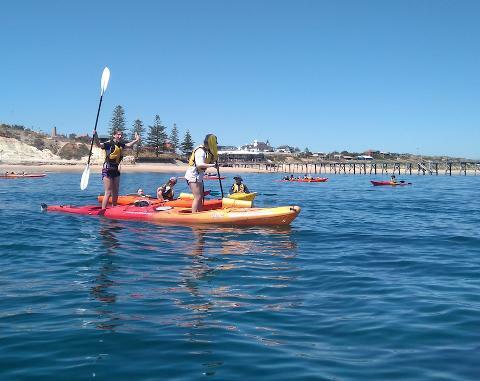 The sensational Adelaide Dolphin Sanctuary (click to see location)is just 10 minutes from Port Adelaide and ideal for kayaking with kids! It is an area of incredible beauty and ecological importance. 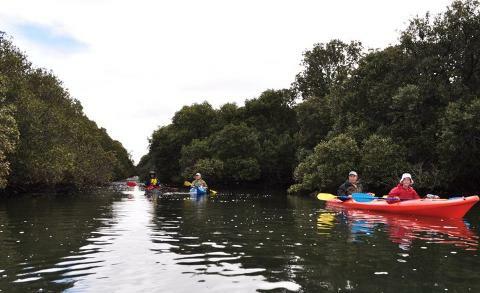 The sheltered, tree lined creeks are an ideal environment for a kayaking adventure and home to a fascinating array of marine life, birds and the Port River Dolphins. Travelling by kayak or standup paddle board are unique ways to experience an encounter with the dolphins or view the wrecks in the Ship's Graveyard Maritime Heritage Trail. The inquisitive dolphins usually come and say hello! 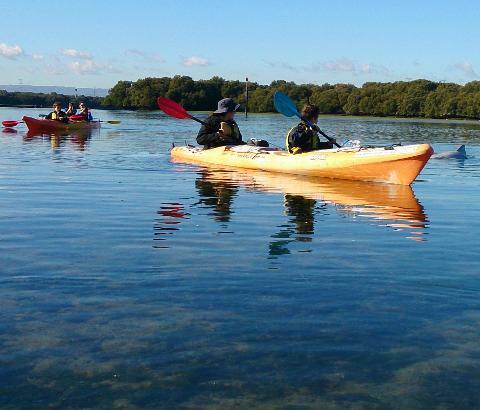 The area is very sheltered and safe, ideal for your first experience of kayaking or paddle boarding. 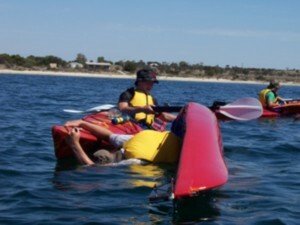 Children and novices feel very comfortable in our two person sea kayaks or stable paddle boards. We also offer programs at other sensational locations close to Adelaide including Pt. 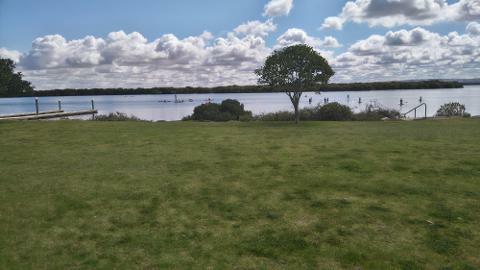 Noarlunga Aquatics Reserve, West Lakes and the Onkaparinga River and camping experiences at several locations on the River Murray. 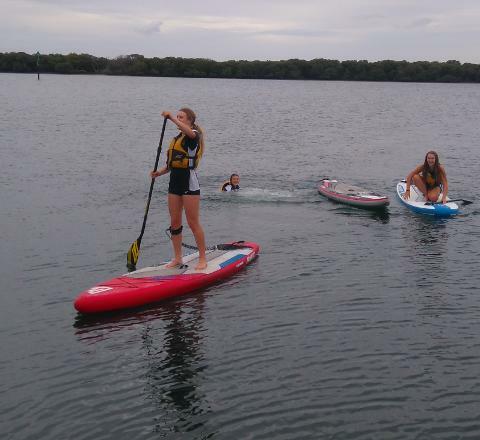 New to our programs are our incredible SUPER SUPS...8-12 person standup paddle boards! These are the best fun you can have with a group of friends. 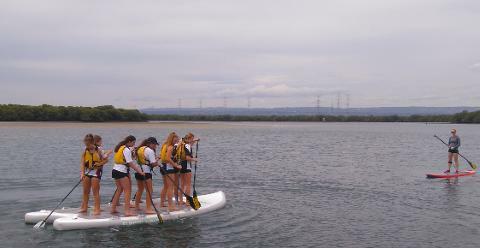 They naturally make introduction to paddle boarding easy or can be incorporated into any program as a tremendous group dynamic and team building activity. 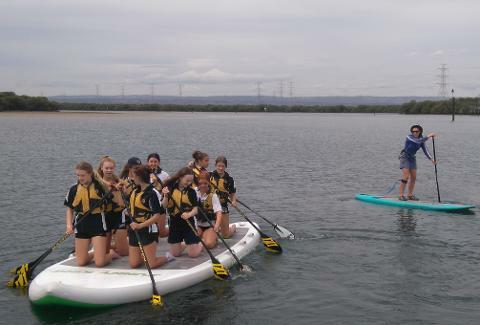 Our paddling programs are always great fun and are designed in discussion with you and the outcomes you expect based on the school curriculum. 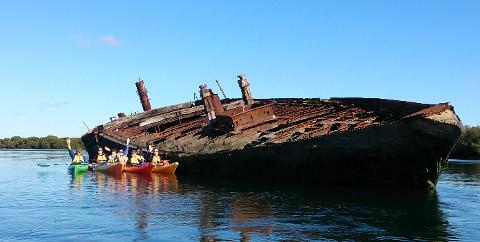 Eco-adventure Tours observing dolphins, exploring mangrove creeks and the Ships Graveyard. And all of this comes with the added bonus of experiencing one of Adelaide’s most unique natural environments! Call us to discuss your subjects needs and book a course.